It may have been the use of “chaos,” “crisis,” and even “famine” in headlines, but it was definitely when Tower Hamlets Police, which patrols the traditional East End of London, used Twitter to tell people to stop calling them, while using the hashtag #KFCCrisis. The short version of this story is that KFC, which hasn’t called itself Kentucky Fried Chicken since 1991, has moved the distribution of product to its restaurants from Bidvest to DHL, and to say it has been far from seamless may still be downplaying things: there have been pictures of crying children and angry mothers by locked doors to closed stores, with as many as three quarters of the near nine hundred branches being forced to close until stock came back, while another person was quoted to say, nonchalantly, “I guess I’ll have to go somewhere else.” Apparently, the GMB union warned KFC about this, as Burger King had the same problem in 2012, when they moved their distribution to DHL, but it looks like flame-grilled burgers did not capture the British imagination quite so much. 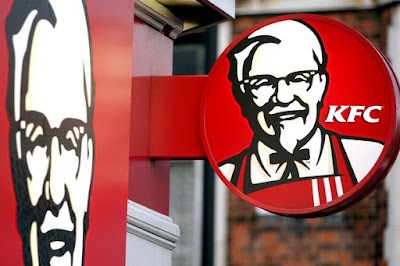 I confess to being bemused by this story, as I rarely eat at KFC, despite two branches being located in my home town – I prefer McDonalds or Subway, and we have one each of them too. I have walked past a different branch of Subway that remained open despite having no bread, and this was before they began pushing their salad bowls. Perhaps the sudden inability of prospective customers to act upon their impulse as they expected, which is the foundation of the business model for a fast food restaurant, is what led to the inordinate amount of attention this situation has received. 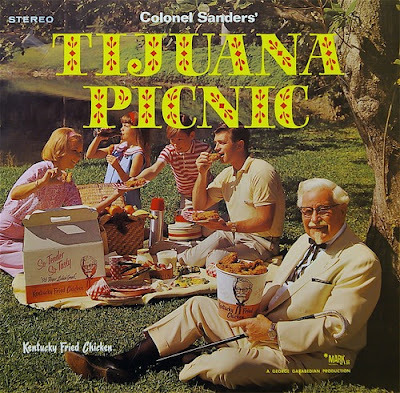 However, when you factor in how the current diet of news stories consist of Brexit, things that Donald Trump said on Twitter, and accusations of sexual assault, you begin to see how important fried chicken can be as a momentary diversion. In the absence of my own opinion, I did wonder what Colonel Sanders would think of this. Unlike Ronald McDonald, KFC had a real, breathing, salaried brand ambassador, who created the “secret blend of herbs and spices,” cooked by pressure frying instead of pan frying, in 1940, before selling the franchise, except for the Canadian division, in 1963 for $2 million. He also had cameo appearances in films with titles like “Hell’s Blooody Devils” and “Blast-Off Girls,” while remaining close to a bucket or a grill. I make this point because when the face above the door, and on the buckets, starts telling you that the gravy tastes like wallpaper paste, in addition to pushing food he thought unpalatable onto the floor when visiting some restaurants, you may have a situation where a restaurant sues its mascot. 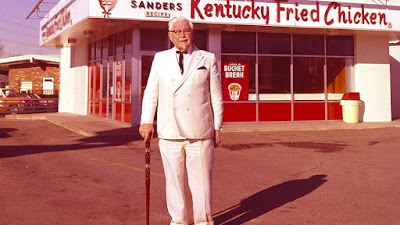 The libel suit brought by KFC was ultimately unsuccessful but, then again, Harland Sanders had practiced law in Little Rock, Arkansas, as one of its many jobs before entering the restaurant business – a part of me still hopes he sought legal advice from Mayor McCheese. Once all branches of KFC have reopened, it may be worth pushing their other menu options, as they appear to have rice dishes too. This year has already seen branches of the Wetherspoon pub chain have no steak on Steak Night, an incident that ultimately collapsed the distributor involved. Have something else instead, for there will always be a next time.